The Travelers Companies, Inc. (NYSE: TRV) is a leading provider of property casualty insurance for auto, home and business. A component of the Dow Jones Industrial Average, Travelers has approximately 30,000 employees and generated revenues of approximately $29 billion in 2017. The Hartford is a Fortune 500 company and one of the largest investment and insurance companies in America. With 2011 revenues of $21.9 billion and more than 1.5 million plan participants, The Hartford is a leading provider of life insurance, group and employee benefits, automobile and homeowners insurance, and business insurance. Since 1933, Blue Cross and Blue Shield of North Carolina (BCBSNC) has offered its customers high quality health insurance at a competitive price and has led the charge toward better health and healthcare in our state. BCBSNC is committed to making the healthcare system in North Carolina better – but we know we can’t do it alone. That’s why we have worked with doctors, hospitals and others to bring our customers innovative solutions that simplify the healthcare system, improve efficiency and outcomes, and help rein in costs. MetLife, Inc. is a leading global provider of health and life insurance, annuities, and employee benefit programs. For 140 years, MetLife has been insuring the lives of the people who depend on them. Their success is based on a long history of social responsibility, strong leadership, sound investments, and innovative products and services. Progressive Corporation, known as the Progressive Casualty Insurance Company through its subsidiaries, provides personal automobile insurance, and other specialty property-casualty insurance and related services in the United States. Erie Insurance provides a range of services to meet all of your family insurance needs, including a variety of auto, home and renters insurance policies. Erie also offers a variety of business insurance products to meet the needs of both small and large businesses. Erie Family Life offers a complete line of products to meet individual and business life insurance needs. National General Insurance Group is one of the largest automobile insurers in the United States. National General Insurance Group is an insurance provider for property and casualty products, including personal auto, RV, motorcycle, commercial auto and more. With a nationwide network of claims professionals and a 24-hour, toll-free claims hotline available 365 days a year, National General Insurance provides superior claims service for its customers. 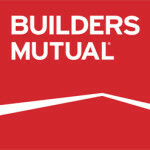 Builders Mutual has provided more than 25 years of uninterrupted insurance coverage exclusively to the home building industry. “Where Builders Come First” has been their motto since 1984, when the company grew out of the North Carolina Home Builders Association to provide workers’ compensation to eligible members.